Isa Genzken’s work is a cacophonous riot of colour, material and form. She pulls from the geometries of modernist architecture, the aesthetic of Robert Rauschenberg’s combines and the stark and severe ethos of minimalism and corrals these elements in to her own world, rearranging them according to her distinct set of rules. For Hauser & Wirth’s final show at the gallery’s temporary space at Hubertus Exhibitions, Genzken will present new sculptures and collages. These works reference the individuality of the real world, exploring the works’ more human qualities of fragility and haphazardness. Genzken’s new sculptures echo the architectural dimensions of the high-rise buildings and skyscrapers abounding in New York, the artist’s favourite city. Each work consists of a fantastical melee of objects, such as stacked shipping crates, potted plants, overturned designer chairs, and paintings of Disney characters. These elements are all perched precariously upon high plinths, seemingly held together only by sprays of paint and a few dots of glue. 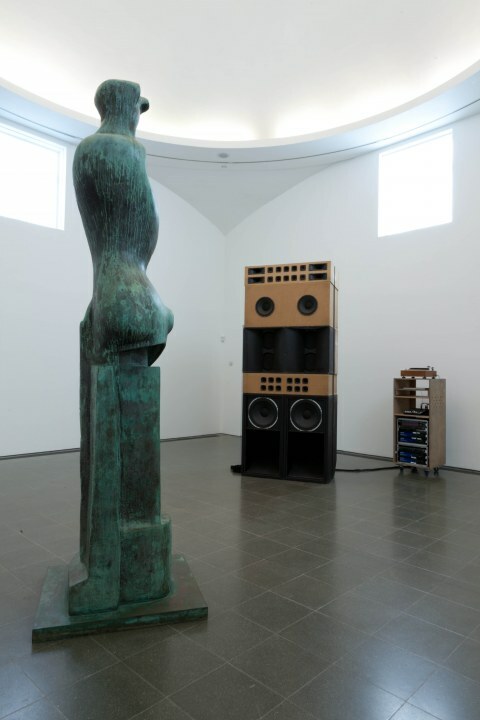 Like a tourist wandering wide-eyed through a sprawling metropolis, the sculptures invite the visitor to first gaze up at the fabricated skyline, and then to look closer at the ‘eye level’. At this level, Genzken takes the viewer inside the sculpture, transforming her spiralling towers of miscellany into anthropomorphic forms, a surprising humanity residing in their instability. Photography, sculpture and painting overlap in Genzken’s new collages and with these works, Genzken activates all surfaces of the gallery, not just the walls. One new installation spans the floor of the space, like a sidewalk down the hectic streets of New York City. Each collage contains a mixture of imagery: snapshots from the artist’s personal life, self-portraits, works from her oeuvre, reproductions of Renaissance paintings, kitsch greeting cards, adverts from glossy magazines and an assortment of gaudy patterned papers sprayed with paint. Installed as if they had been forcibly flung upon the walls and on to the floor, Genzken lends these two-dimensional works the same tactility, movement and momentum seen in her sculptures. 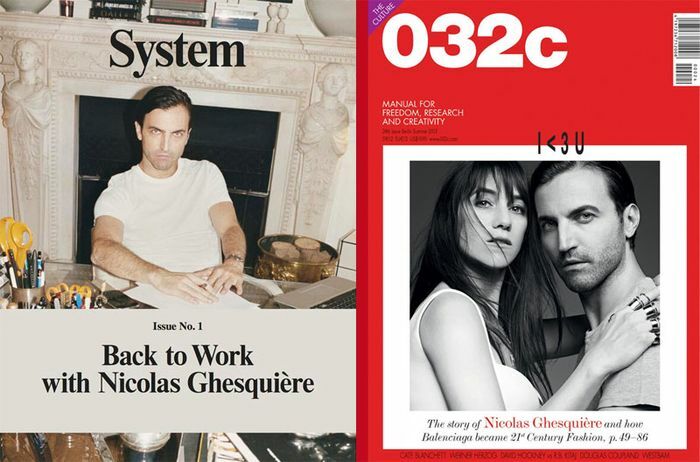 System magazine’s Jonathan Wingfield interviewed Nicolas Ghesquière several times between early December 2012 and late March 2013. 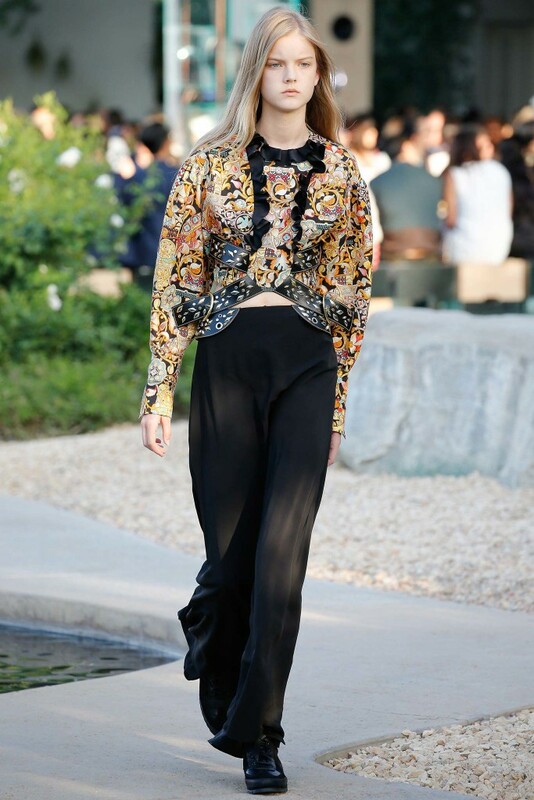 This was the first time Ghesquière had chosen to speak publicly about his shock departure after 15 years at Balenciaga. NG: Yes, endlessly! But they didn’t understand. More than anything else, you need people who understand fashion. There are people I’ve worked with who have never understood how fashion works. They keep saying they love fashion, yet they’ve never actually grasped that this isn’t yoghurt or a piece of furniture – products in the purest sense of the term. They just don’t understand the process at all, and so now they’re transforming it into something much more reproducible and flat. NG: You need to have the right people around you: people who adore the luxury domain. There has to be a vision, but there also has to be a partner, a duo, someone to help you carry it. I haven’t lost hope.